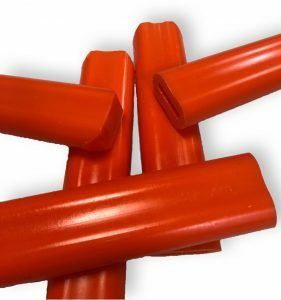 Molded urethane mallets produced by Plan Tech are carefully manufactured to ensure that it’s suitable to all applicable requirements and within budget. Urethane is preferred over rubber, metal, and plastic as a result of its properties such as abrasion resistance, it bears heavy loads, is versatile in hardness, resistant to sunlight and harsh weather conditions. It also accepts pigmentation. Plan Tech’s molded urethane mallets are produced at our in-house machine shop equipped with state of the art facilities. We custom mold urethane mallets to meet your specifications. Our molded polyurethane mallets protect the operator from impact sting or rebound. They resist petrochemicals, wear and won’t chip or splinter. Tooling for molded urethane mallets is very inexpensive in comparison to other forms of molding such as injection and transfer. Our molded urethane mallets reduce the time and expenses of machining parts from solid stock plastic. Plan Tech has in-house urethane molding design expertise which gives us the ability to provide our customers with cost-effective tooling. We provide our customers with the best quality molded urethane mallets. When bonding one material to another urethane has superior qualities. You do want to look for a product that can be bonded to other products, and no other material allows for such bonding better that Urethane materials. Fortunate for you that Plan Tech allows for bonding of any type of material example; aluminum or steel. Such bonding ability cannot be expected with Silicon, UHMW, and Nylon. Are you interested in cast molded urethane mallets? Please Contact us so we can help solve your requirements and work with you on your specific application!